Elevate is the most advanced mastering plug-in ever created. This unique multi-band limiter, human ear EQ, and powerful audio maximizer will increase the loudness of a mix while maintaining or improving its dynamic perception. It uses intelligent, adaptive technology that responds in real time to music, creating not only the loudest but also the best-sounding master. 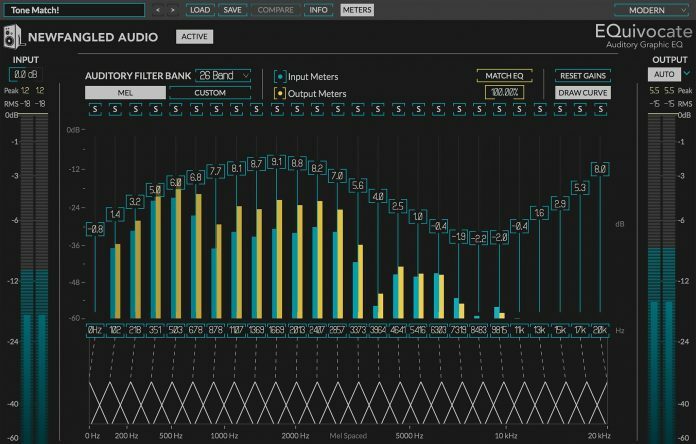 • Analyzes and alters the gain, speed, and transients of each filter band in real time. • Automatically adapts the attack, release, and look-ahead parameters for each filter band to greatly reduce ‘pumping’ and breathing artifacts and perceived distortion. • Manipulates transients across the critical bands to preserve the attacks from kick drums, snares, and cymbals — without affecting the entire mix. • Uses linear phase filters — based on the Mel Scale — to manipulate the audio in a way that is natural to the inner ear. • Solo the output of one band (or a number of bands) to hone in on problem frequencies, tweak transients, or alter gain. • Use AUTO OUTPUT level features to compare the limited signal to non-limited signals with the same amount of gain to easily hear what impact the processing is having on the sound. • Use the SPECTRAL CLIPPER to overdrive the final output without affecting the tonal balance or allowing the signal to get ‘tubby’ — perfect for a more aggressive sound. • Six different metering types to keep an eye on every aspect of the output audio. Elevate is exclusively available through Eventide (as an AAX/AU/VST plug-in for Mac OS X 10.7+ and Windows 7+) — bundled with Newfangled Audio’s EQuivocate EQ plug-in (based on the critical bands of the human ear) — at an introductory promo price of $99.00 USD thru to October 31, 2017 (rising thereafter to an MSRP of $199.00 USD). Owners of EQuivocate can upgrade to the Elevate mastering bundle at an introductory promo price of $79.00 USD thru to October 31, 2017 (rising thereafter to an MSRP of $99.00 USD).